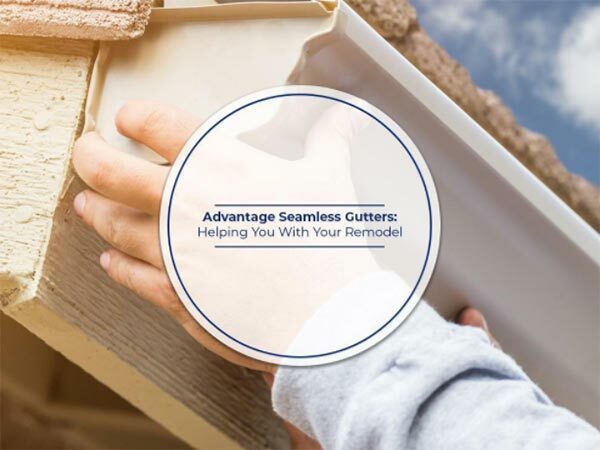 At Advantage Seamless Gutters, we have a proven reputation of delivering quality workmanship that exceeds expectations. We make it possible so that you never have to clean your gutters again. In this post, you’ll learn how we can help you with your home remodeling project. While it’s tempting to do DIY gutter installation, it’s not advisable since gutters require precision work to ensure that they operate properly. A gutter system that’s not properly installed will do more damage than good – putting your home at risk of water damage and structural decay. If you’re planning to replace your old gutters or install new ones, take advantage of our expert gutter installation services. We’ll make sure your gutters are properly installed so that they protect your roof, exterior walls and foundation. Advantage Seamless Gutters is one of the few local companies that offer custom sheet metal fabrication services. This gives us an advantage since we can custom-build our gutters to fit a wide range of dimensions. All of our custom metalwork is crafted using the finest construction techniques. Each piece is customized for your home and features thick, durable materials bolstered by seamless construction. We’ll be happy to utilize these custom-fabricated pieces in your new home addition, according to your specifications. Advantage Seamless Gutters offers complete gutter services and seamless gutter installation. Call us today at (218) 270-2663 to learn more about our remodeling services. We install seamless gutters throughout St. Cloud, MN, Baxter, MN, Alexandria, MN, Crosslake, MN and the surrounding areas.